Up to 90 days to rental start 25%, 89 to 60 days to rental start 50%, 59 to 30 days to rental start 75%, later 100% of the rental rate is due. 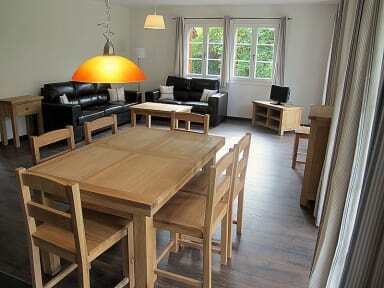 CityChalet is centrally located, a 5 min walk from the town center and Interlaken West train station. The surrounding is all quiet in a large nature garden right next to the river Aare. You have one free parking for your apartment.